"A search for morality in yarn production"
A search for morality in yarn production. In the silk industry, silkworms are steamed or gassed alive inside their cocoons. 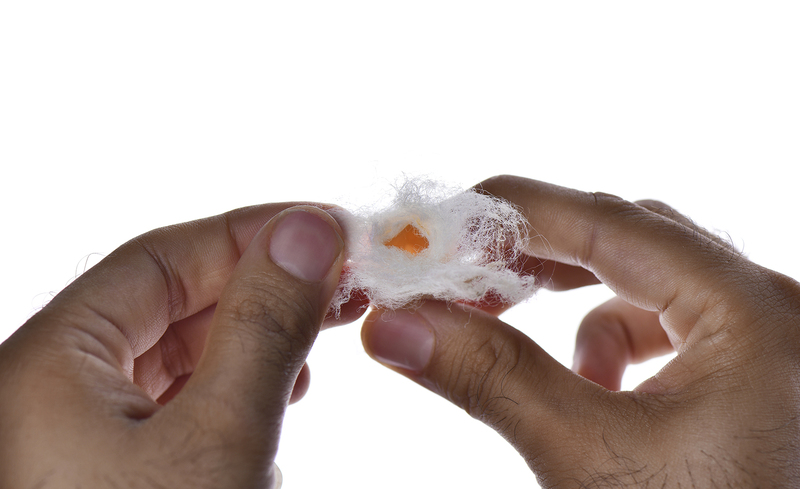 Though their reactions to pain are not visible to the naked eye, silkworms do feel pain. As a vegan Nevi Pana expresses his empathy towards all creatures and sees the exploitation of other forms of life as immoral and unjust, what reveals a spiritual aspect to his designs that are based on the principles of ahimsa (physical and psychological nonviolence norms toward all living things). 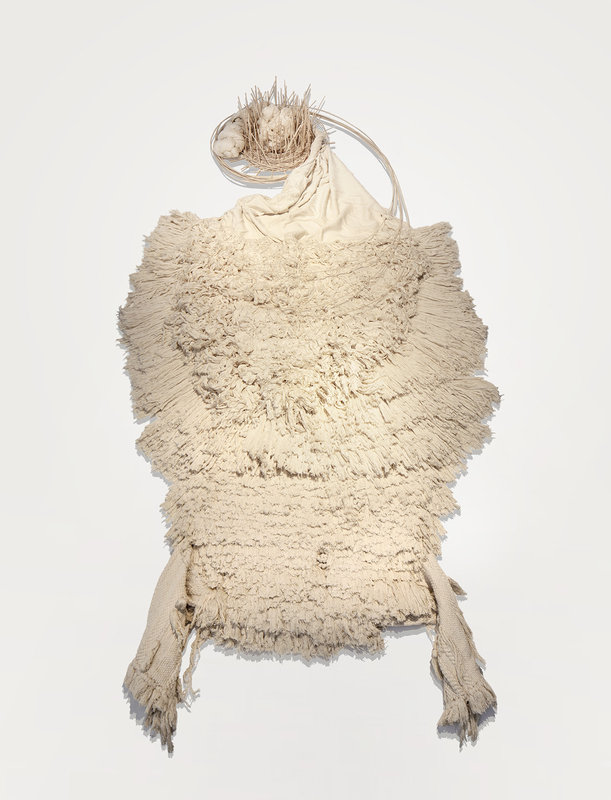 Nevi Pana’s fascination with textiles is rooted in the family past. His ancestors traded yarns with the indian village NabiPanah which his last name originates from. In this project he exhibits his own evolutionary process as a vegan “Doubts about materials I was using in my designs started to emerge, especially relating to yarns, as most of my income came from weaving textiles.” Nevi Pana started to understand how far he goes with the moral values and norms that relates to animal rights, arguing that scale is not an issue to determent which animals are entitled to the possession of their own lives. 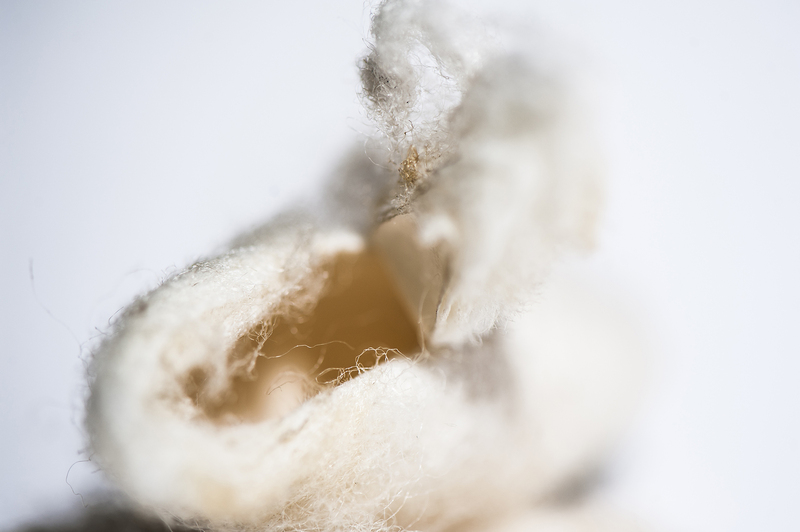 With ‘Unraveled’ he uses peace silk - a production process which involves the principle of nonviolence toward all living things (Ahimsa); the cocoons of the silkworm are harvested in nature after the moth had emerged and flown out. The silk yarn is then translated into a huge cloth that expose the beauty of a natural material that is produced in harmonious growth without harm.